‘El Chiringuito Beach House Sessions Volume One’ is a compilation brought to you by Balearic label Seamless Recordings where €1 for every CD sold goes to charity. Over two discs it features two live sets from Groove Armada and Ibiza favourite, Mr Doris, packed with unreleased material and exclusive reedits recorded at the beautiful El Chiringuito Beach Club. Situated on the shores of the Mediterranean at Es Cavallet Beach, El Chiringuito has likely became a ‘must visit’ venue in Ibiza due to its dining experience reputation, complete with its distinctive vibe. Over the years a partnership has grown with Andy Cato and Groove Armada resulting in a series of events unlike most on the White Isle: they’re free and they raise money for charity. 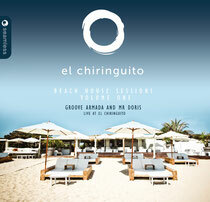 This debut ‘El Chiringuito Beach House Sessions’ was recorded live at one of those nights for the 2013 summer opening. 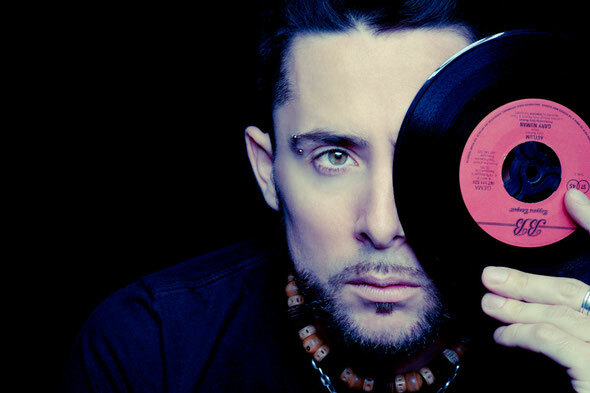 The live set on Disc One comes from We Love and Pacha resident, Mr Doris. His deck talents and musical expansion of funk, soul, Latin and afro beats are showcased throughout his mix. Stand out tunes include The Quantic Soul Orchestra feat. Alice Russell ‘Left & Right’ and Gregory Porter ‘1960 What? (Opolopo Kick & Bass Rerub)’. Disc Two is classic Groove Armada where the three time Grammy nominated outfit and curators of London’s biggest festival, Lovebox, drop two unreleased tracks into their live mix in the form of ‘Closer’ and ‘Lean On Your Love’, while their 2012 single Activate My Heart has been given an exclusive Chiringuito re-edit. Groove Armada, aka Andy Cato and Tom Findlay, have waived their album fees to allow €1 for each CD sold to go to The Doncaster Youth Jazz Organisation; a charity that offers life changing musical education to youngsters. The charity sits close to Cato’s heart having once put an instrument in his own hand and taught him how to play. Featuring 38 tracks across two mixes suitable for day or night, its out August 19.